Khata Book Android App is an excellent account maintenance app. It is very useful for people who are into business. It is digitalized way of traditional Bahi Khata, but it is very friendly. Anybody can use it easily. 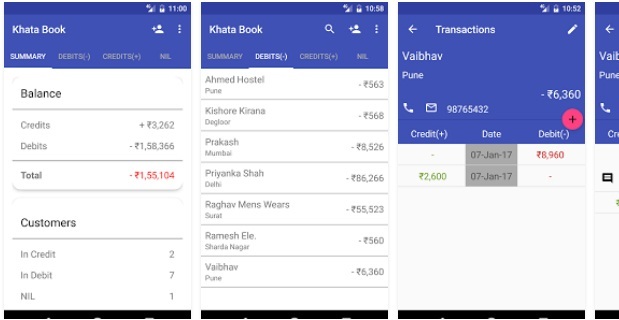 Khata Book helps you to manage basic account maintaining functionality to make your business easy. Download this app to make your business easy and stress-free.